Symfony is an opensource framework for PHP which follows Model View Control (MVC) model. It allows high customization ranging from the structure of directories to foreign libraries. With highly interactive services, we are delivering incredible Symfony development solutions to the clients globally. 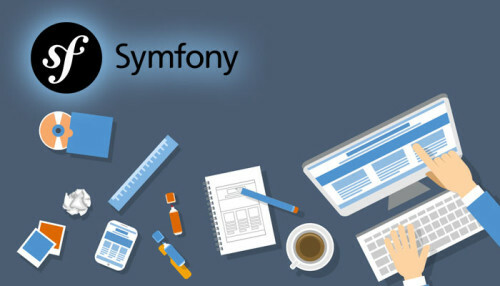 We have a dedicated team of Symfony developers to meet your projects' requirements in the most proficient manner. Being a reputed Symfony web development company, we do not leave a single stone unturned in delivering the competitive edge applications based on this ever demanding PHP framework. We provide the most advanced Symfony development services. All our Symfony developers have ample expertise with Symfony framework. We develop the most suitable applications to enable the companies in making their vision come true. OdiTek leverages on its extensive PHP development expertise to offer quality Symfony development and customization services to our valued patrons in accordance with their budgets and business needs. We deliver applications that are well structured, maintainable and scalable to enable organizations to operate at a faster pace whilst cutting on costs and ascertaining highest ROI. Our professionals with great industry knowledge & years of expertise ensure that your business reaches unrivaled position & sets a new level of success.